• A minimum of 10 riders must register from the team. • Team Captains submit form below to request the team discount. • We will provide your team a coupon code for $5 discount off registration. • Teams agree to promote our ride on their Facebook page. • Coupon codes expire on March 16th, 2019. 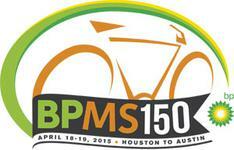 All team riders must be registered by March 16th. with you to provide your team a unique discount code.